South Boston Development Watch: 142-144 Old Colony Ave.
More changes coming to the Old Colony Ave neighborhood! 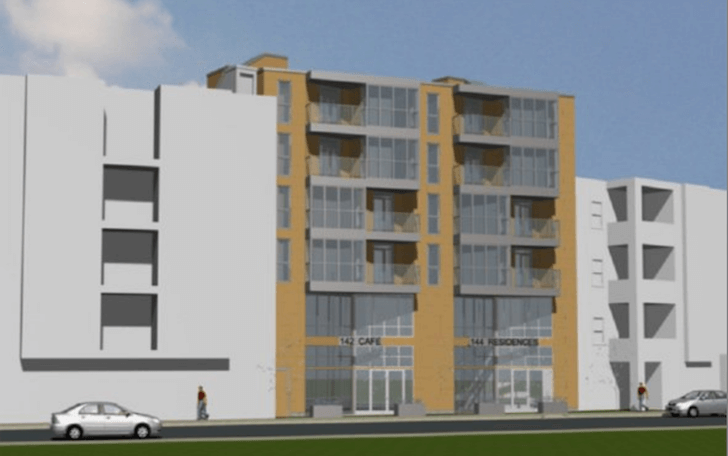 A six-story building with 19-units has been proposed for the Shawmut Glass Company on Old Colony Ave. complete with a car for residents to share! According to Universal Hub, developer Adam Burns proposed a $5.7-million project with the Boston Planning and Development Agency this week. The building will have 10 parking spaces with one set aside for an apartment “share car!” Hmmm…wonder how that will work? This development is proposed for 142-144 Old Colony Ave near D Street. The units would be split between one- and two-bedroom units, with three rented as “affordable.” Construction is expected to start in 2020. You can check out the proposal here!